Offering a thickness of 6 mm, the Adidas yoga mat is a comfortable and functional training surface for yoga and pilates exercises. 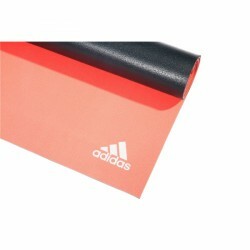 It is also suitable as surface for fascia training. The nonslip coating keeps the mat in place on almost all floor conditions.